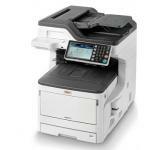 OkiDirect is part of a group which specializes in OKI printers and consumables. We sell all model printers from small a4 colour home use up to high end multifunction office printers, with stapler and finishing add-ons. 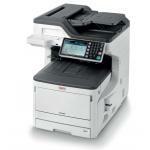 For high use applications, OKI printers can come with a Duplex option which saves the amount of pages printed, using both sides of the paper as well as allowing for the printing of corporate literature such as brochures. These are the reasons why Oki printers are proving so popular, they have been engineered for easy professioanl use with high quality straight path printing allowing for varying media such as paper, vinyl and card printing up to 300gsm. 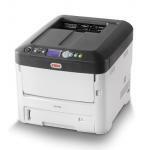 The excellent professional features of OKI printers allows them to be used for point of sale printing, graphics, exhibition, banners and outdoor media. 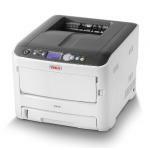 Oki colour laser printers are also extensionally used for t-shirt printing on transfer paper; with additional specialist applications such as garden centre printing labels, banner, number plate printing, exhibitions and more. 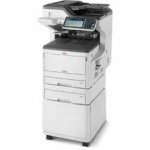 However, despite its versatility, Oki printers are extensionally used in the small office environment, with their range of A4, A3 & multifunction printers proving robust in multi-user environments of up to 10 to 20 people. 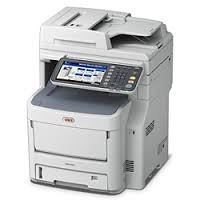 OKI's range of multifunction printers can play their part in document management services and have direct interface options from the printer to Microsoft Shareware Program.